Apparently, the imminent iPhone 5 launch won’t just be the only Apple product coming to Sprint. Apple-centric news website 9to5 Mac has learned that the iPad 2 could be landing on the third largest cellular network in the United States just in time for the holidays. Of course, Apple has yet to make any official announcements to the claims, but with the iPhone and iPad recently expanding beyond AT&T, it would not be surprising to see Sprint customers be given their CDMA-enabled iPads as well. 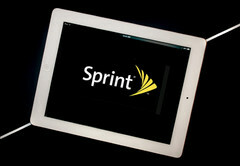 Whether or not the supposed iPad 2 would be compatible with Sprint’s lucrative 4G network remains to be seen. Overall, an iPad 2 under the Sprint network could be more appealing than on the Verizon or AT&T network, simply due to the fact that Sprint is the only major carrier in the U.S. to still offer unlimited data plans.